Ram continues its streak of debuting models and trims at various auto shows across the nation. This time around Ram offered the first glimpse of the all-new 2019 Ram 2500 and 3500 Heavy Duty Lone Star at the Dallas Fort Worth (DFW) Auto Show held in Dallas, Texas. This distinguished and unique Lone Star model is distributed only in Texas, complete with its “Lone Star” tailgate and interior badges. Always one to think ahead of the curve, Ram was the first manufacturer to realize the potential in the Texan pickup truck market and opted to offer an exclusive edition for the state. Ram has sold more than 270,000 of these Texas-only models since the brand first introduced them back in 2002. Reid Bigland, head of Ram brand, was present for the unveiling at the DFW Auto Show and he shared a few words with the press while he was there. “First and foremost, the Ram Heavy Duty Lone Star edition is a powerful, hard-working truck that meets the demands of Texas truck buyers. Trucks are a big part of life in the Lone Star state, and Ram offers the segment’s best combination of performance, strength, luxury, and technology,” Bigland said. The all-new 2019 Ram Heavy Duty Lone Star outhauls, out-tows, and outpowers every other pickup in the same segment thanks to its groundbreaking 1,000 lb-ft torque. Ram boasts the highest capability numbers for diesel- and gas-powered pickups: 35,100 pounds of towing capability and a 7,680 payload as well. Completely redesigned for the 2019 model year, the Ram Heavy Duty lineup models offer technology features that help owners tow with confidence. An available 360-degree surround-view camera offers trailer reverse guidance on a single display screen setup. As for the Ram Heavy Duty Lone Star – it comes equipped with standard Class V receiver hitches, power trailer tow mirrors, and electronic trailer brake controllers. Lone Star models also include features such as halogen headlamps, optional LED lighting, chrome door handles, chrome bumpers, and a chrome grille surround. 18-inch steel wheels are the standard, but those who need a little more from their pickup can opt to upgrade to 20-inch chrome or painted aluminum wheels. 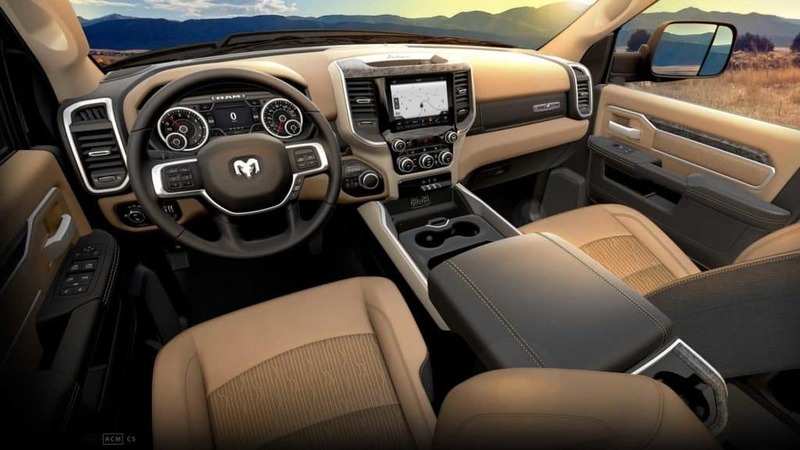 Additionally, the Ram Lone Star is available with a choice of two different interior packages and four exterior colors. There optional equipment groups that feature a closed upper-dash door, a Lone Star nameplate badge, a power driver seat, and an 8.4-inch Uconnect infotainment touchscreen display. The Lone Star comes standard with premium cloth seats in the following combinations: black/diesel grey, light frost/black, black/light brown, and an all-black interior with accent finishes. Seating options include a two-passenger bucket configuration as well as a three-passenger bench, five-passenger bucket, or six-passenger bench. Regular, Crew and Mega Cab body configurations are all available. Although this is a pickup made by Texans for Texans, it doesn’t mean that you can’t experience the unexpected luxury and refinement of the redesigned Ram lineup. Inspired by the award-winning 2019 Ram 1500, the all-new Ram Heavy-Duty pickups offer more refinement, convenience, storage, and comfort than any other trucks in the segment. 2019 Ram 2500 and 3500 Heavy duty pickups, including the Lone Star editions, will go on sale during the second quarter of 2019. So, while we patiently await their arrival, feel free to explore the impressive 2019 Ram 1500 inventory at University Dodge. 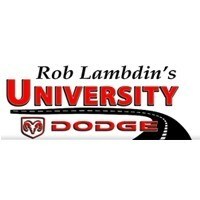 Follow University Dodge on social media to be the first to know when these all-new Heavy Duty pickups from Ram become available later on this year.